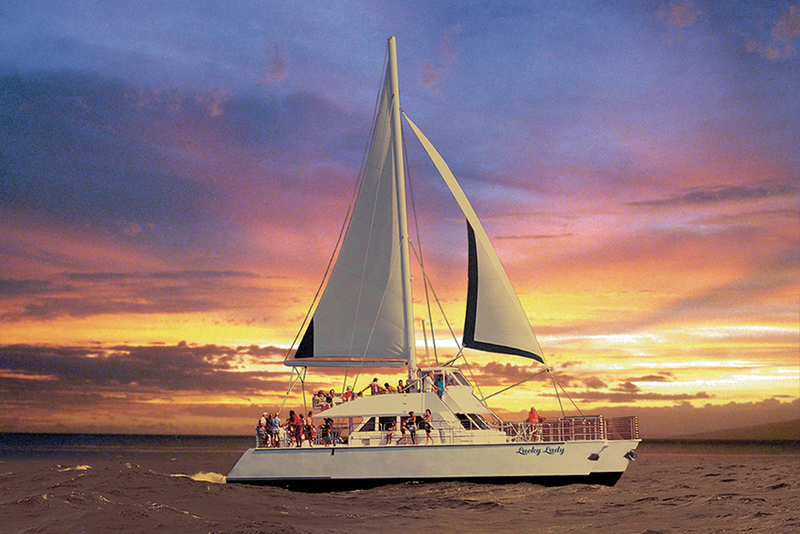 When the afternoon light brings a special magical hue to the majestic Na Pali Coast, Kaua‘i Sea Tours offers a 4-hour deluxe sunset dinner cruise on board the Lucky Lady catamaran. You’ll learn all about the history and legends of the Na Pali Coast as well as the abundant marine life while the fun-loving crew serves a casual buffet dinner with soft drinks, beer, wine, and Mai Tais. Lucky Lady’s voyage home is complete with a romantic sunset to top off the perfect day. Kaua‘i Sea Tours also offers amazing raft expeditions and exclusive snorkeling adventures—taking you to places larger boats just can’t go!